With every year that passes, we learn more about how to effectively train our workforce – whether that be through comprehensive Learning Management Systems, social media, gamification, and mobile to name a few. We now have a better understanding about how to increase the effectiveness of training with Performance Support Tools such as SharePoint. 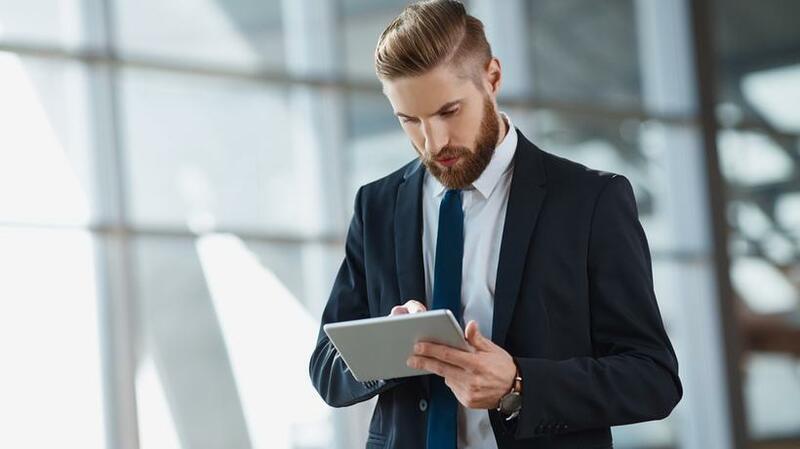 Microlearning in SharePoint breathes new life into training programs and is a hit among Millennials and remote workers. The goal of any training program is to ultimately increase the performance and productivity of your employees. Whether it is in-classroom training or eLearning through an LMS, there will be some information that will not be retained by the learner. This is natural, especially if what they learned isn’t put to use right away. In fact, an article in Training Industry discusses the 'forgetting curve' and estimates that humans tend to halve their memory of newly learned knowledge in a matter of days or weeks unless they consciously review the learned material. Performance Support Tools (PST) are designed to help learners while on-the-job. An example would be a worker in sales who needs help on some facts and figures on a new product he/she is selling. With a PST, they can quickly access the information when they need it, so they can go about their job. Performance support tools are meant to compliment formal training and help boost performance by making troubleshooting a snap and fix problems instantly. PSTs come in a variety of forms including interactive parallax based scrolling, mobile apps, complex branching scenarios, videos, interactive videos, whiteboard animation, kinetic text based animation, infographics, interactive PDFs, eBooks, and flip-books. One of the best ways to provide support after a training is with microlearning. Microlearning -one of the biggest trends in learning- is a brain-friendly way to learn. When someone is trying to solve a problem on the job, they don’t want to read a 20-page article. They want something fast. Microlearning aligns with the brain science that learning should take place in 20-minute chunks, but it doesn’t mean learning should be shallow or instantaneous. You cannot learn management in 20 minutes, but you can learn some key elements of great one-on-one meetings, or coaching, or performance evaluations. Provides short lessons with a single learning objective. Training available just in time. Gets people to immediately apply what they learn. There is a form of microlearning for a variety of learning styles. For instance, companies can use short videos, whiteboard animations, or interactive PDFs for visual learners, podcasts for auditory learners, and gamification and quizzes for kinesthetic learners. But, no matter what kind of microlearning you choose, SharePoint provides the perfect repository for any type of training. One of the wonderful things about PSTs is the fact that they are available when you need them. SharePoint is available for use on mobile, making learning on-the-go easy. News from across the company. The sites that people use the most. Quick links to important pages. A list of their coworkers. To find the information they need, employees have for years been expected to search through endless articles in our knowledge repositories, wander through internal and external web sites, or dive down into an LMS to search through web-based courses. More and more organizations are realizing how this workflow is slowing down their businesses. With SharePoint, this can make the process easier. Onboarding is the perfect example of a time when microlearning is so important in order to get them up, and running as soon as possible. Creating an HR portal that is easy to access via mobile or desktop is the first start for onboarding success. Instead of silently trying to figure out how to do something, a new employee can simply watch a video in SharePoint, or ask a question on a community board. New hires often don’t want to ask questions for fear of looking inadequate but with SharePoint portals, they can find everything they need right in one central place from policies and procedures to company news. Learning-on-the-job is another great reason to utilize the microlearning benefits of SharePoint. Considering that SharePoint is king of content management, learners are able to have all the information they need right at their fingertips. Millennials love to watch short videos and SharePoint video libraries and advanced meta data search make it a no-brainer when it comes to finding the information they need, when they need it. Team sites are also a great feature to utilize for specific on-the-job assistance. A sales team, for instance, can create a team site and upload all important information. A team member who needs a refresher on a particular product can easily go to the team site and lookup a product manual, or a short demo video. Or, they can leave a message on the discussion board for their team and they can interact in real time to get their questions answered. There are numerous ways employees can use SharePoint Team sites as a PST tool, from collaborating on files, to creating task lists, and communicating on discussion boards. In a perfect world, formal training would happen using a SharePoint-based LMS, and then staying in SharePoint, the learner would then use it as a PerformanceSupport Tool – keeping the process smooth and the transition easy. Whether used as a system or separately, SharePoint provides a variety of microlearning tools that can help enhance learner performance and keep their skills up-to-date.